Few flavor combinations conjure up nostalgia the way that peanut butter and Marshmallow Fluff does. Affectionately known by loyalists like me as "Fluffernutter," the ingredients effortlessly strike a balance between sweet and savory, making them prime for sandwiches, cookies, and just about every fathomable edible form in between. 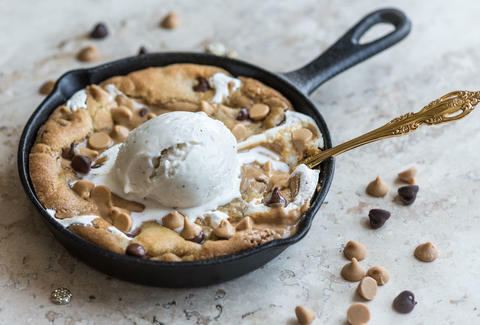 Given my recent affinity for cast-iron skillets, I decided to create a single-serving Fluffernutter skillet cookie. 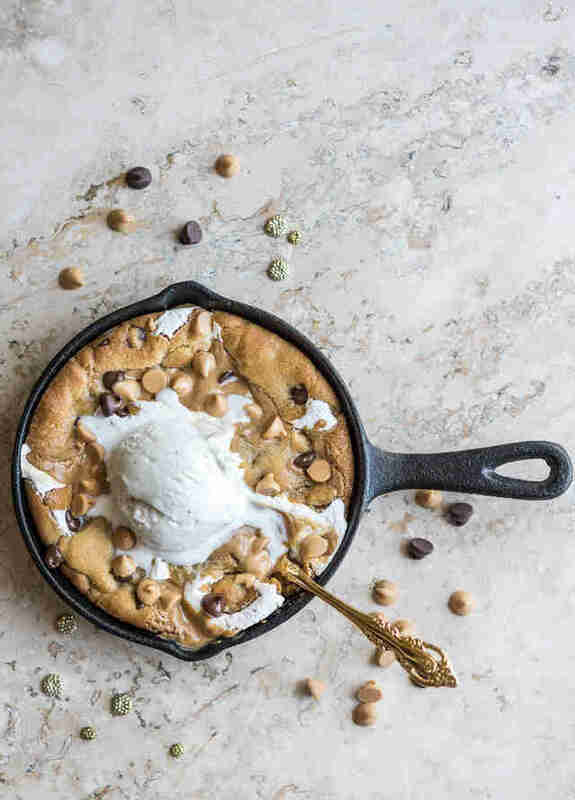 The cookie remains crisp along the edge and gooey at the center, is studded with a mix of peanut butter and semisweet chocolate chips, and is finished with swirls of peanut butter and Fluff. 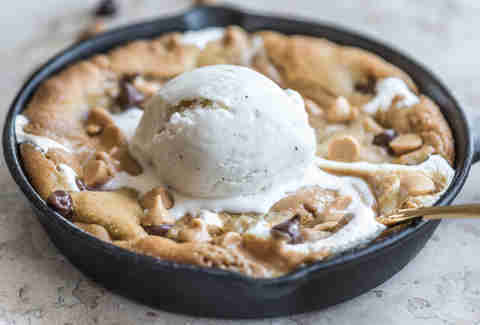 For the full effect, top it with a scoop of ice cream and an extra flurry of peanut butter chips. For more of my cast-iron recipes -- like this raspberry-vanilla bean Dutch baby -- check out my blog or follow me on Instagram (@kailleyskitchen). Kailley Lindman is a contributing recipe developer and writer for Thrillist, as well as a freelance food photographer, food blogger at KailleysKitchen.com, and recovering vegetarian. Follow her at @KailleysKitchen.